Good news! At least for those in the UK and the Commonwealth. 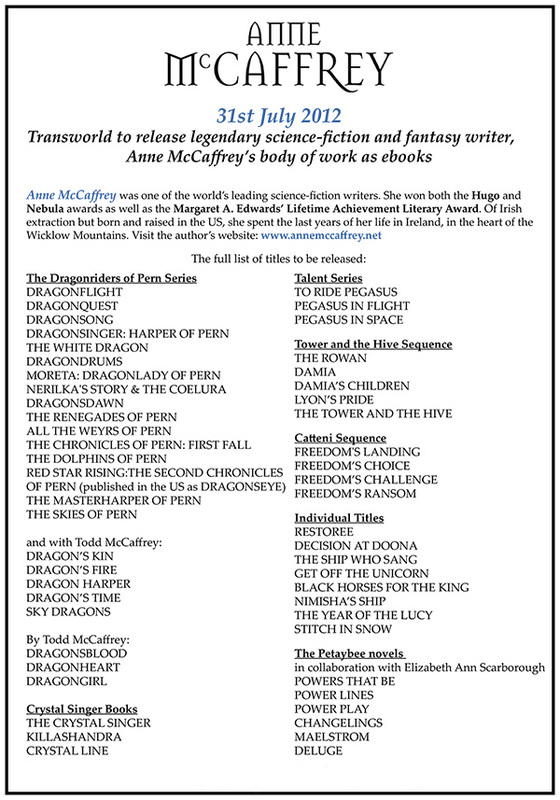 Here is a list of the eBooks available from Transworld (Mum’s UK publisher). For more information on the many books of hers (and mine) that they publish, click on the list to be transported to Transworld’s website.